US Air ForceStaff Sgt. 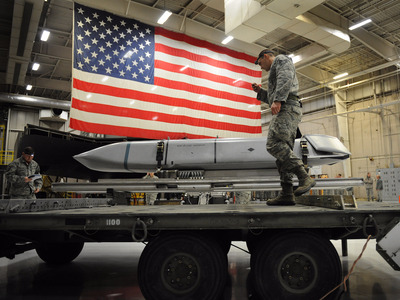 Joseph Herdliska prepares to load an AGM-158 Joint Air-to-Surface Standoff Missile onto the B-2 Spirit weapons load trainer during a weapons load competition, Whiteman Air Force Base, January 23, 2015. 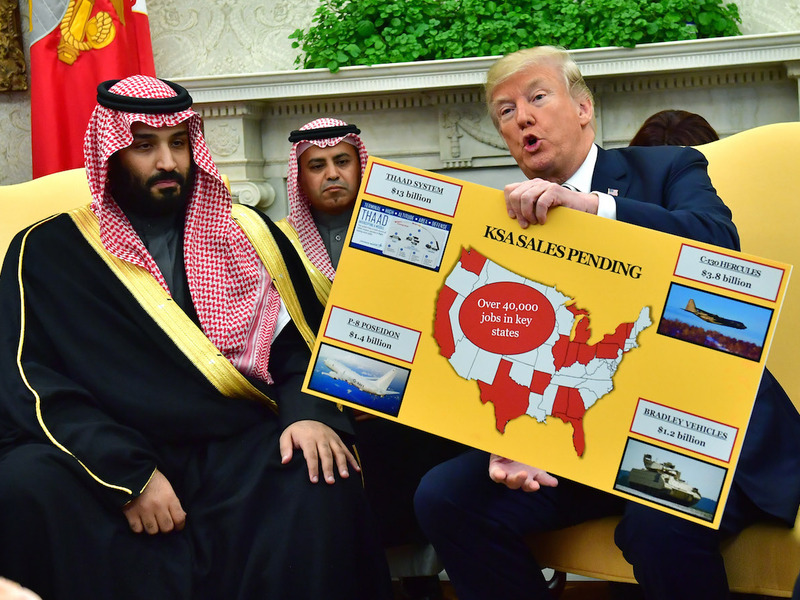 President Donald Trump met with Saudi Crown Prince Mohammad bin Salman at the White House on Tuesday and boasted of massive defence deals signed between the kingdom and the US. 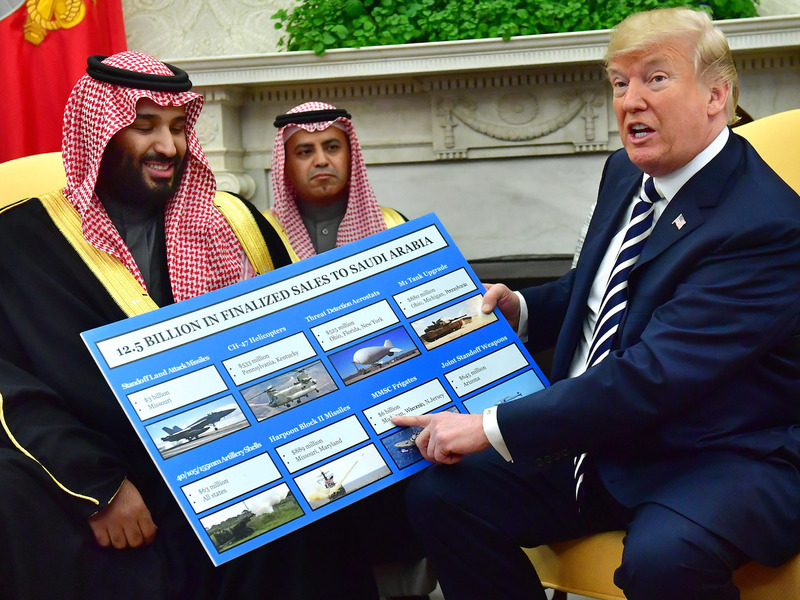 One of the charts showed off eight purchases the Saudis have finalised, worth $US12.5 million dollars. Another chart featured four sales that were still pending, but will be worth nearly $US20 billion. Wikimedia commonsAn F/A-18 Hornet carrying one SLAM-ER missile (top) and two AN/AWW-13 datalink pods (bottom). A Standoff Land Attack Missile – SLAM – is a missile dropped from an aircraft that can attack land and sea targets at short-to-medium-ranges. It can be controlled remotely and change direction at any time. The CH-47 Chinook is a transport helicopter capable of carrying 24,000 pounds, making it one of the heaviest lifting helicopters in the West. 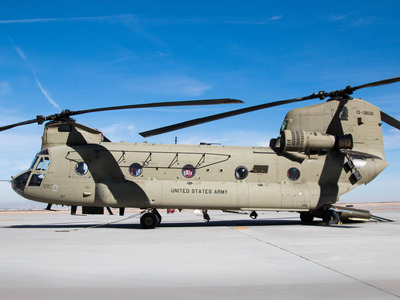 It has been a workhorse for the US military since 1962 and is used by multiple countries. 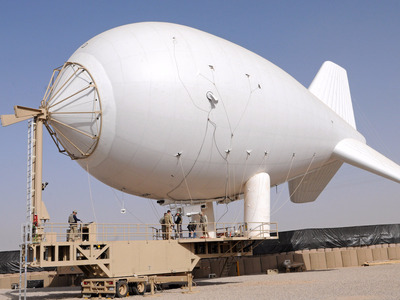 US ArmyCrews prepared a moored Aerostat balloon for launch at Multi National Base Tarin Kot, Afghanistan, December 7, 2010. 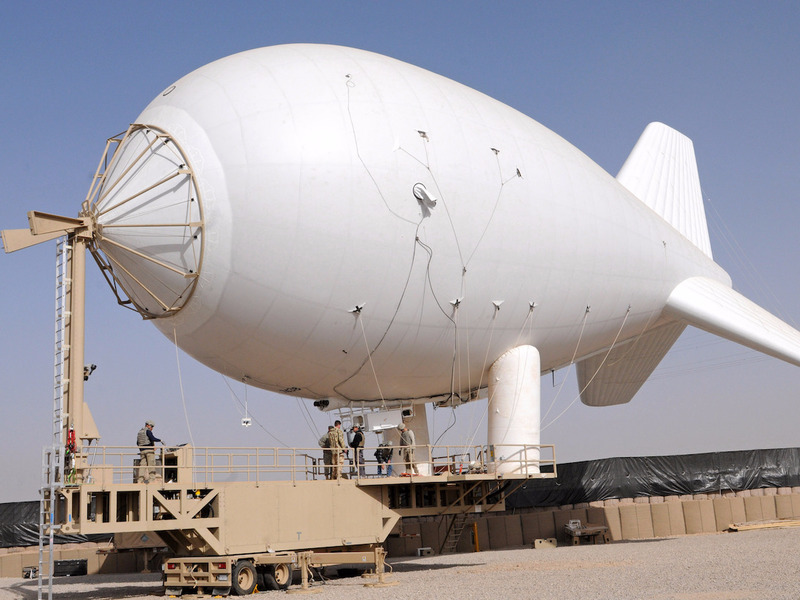 Threat Detection Aerostats are tethered airships or blimps that are equipped with cameras and sensors to monitor large areas. They are used as alternatives to drones and ISR aircraft, which are only able to stay in the air for limited periods of time. 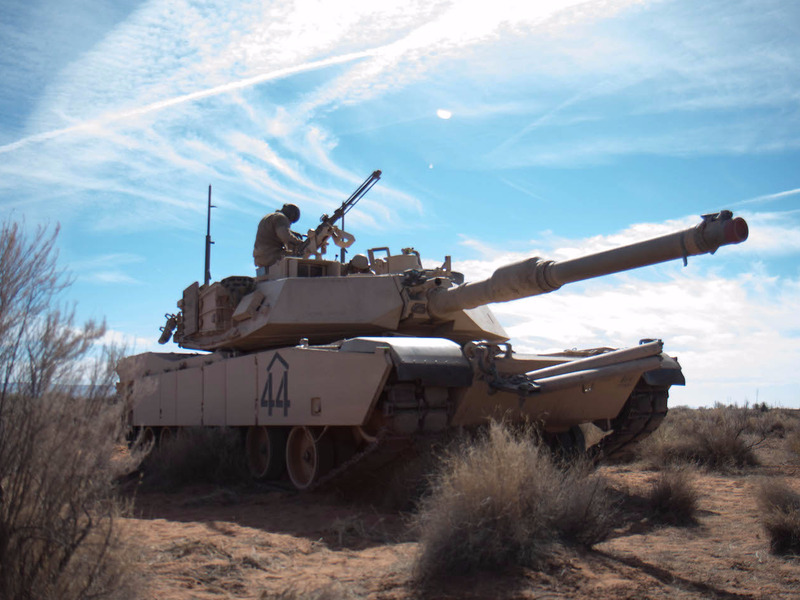 The M1 Abrams has been the main battle tank of the US since the 1980s. It known as one of the best tanks ever made, and is in service in a number of variations with seven nations. Upgrades to the Saudi tanks may include depleted uranium armour. 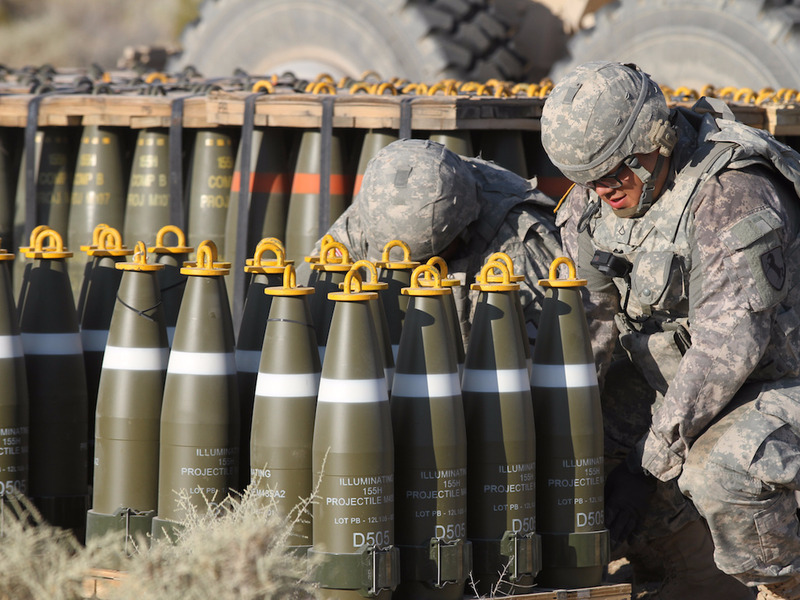 Army National GuardIlluminating projectiles, each weighing close to 100 pounds, are staged by Pfc. Juan Valenzuela and others from the California Army National Guard’s 1st Battalion, 144th Field Artillery Regiment July 21 at National Training Center, Fort Irwin, California, July 21, 2017. Artillery has always been an important part of any military. Saudi Arabia fields the US-made M777 howitzer, a 155mm gun that has been extremely important for the US military. US Marines used them so much in Syria, that they burned out two of the guns. 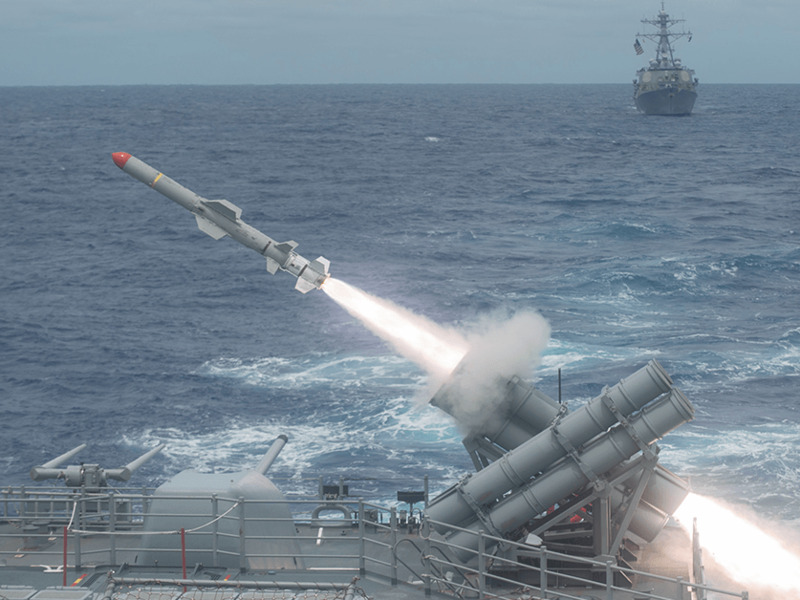 US NavyA Harpoon missile is launched from the Ticonderoga-class guided-missile cruiser USS Shiloh (CG 67) during a live-fire exercise. The Harpoon series of missiles has been the US Navy’s go-to since 1977. The Block II variant offers enhanced resistance to electronic countermeasures and better targeting systems. The missile was intended for use on the open ocean, enabling for long distance ship kills. 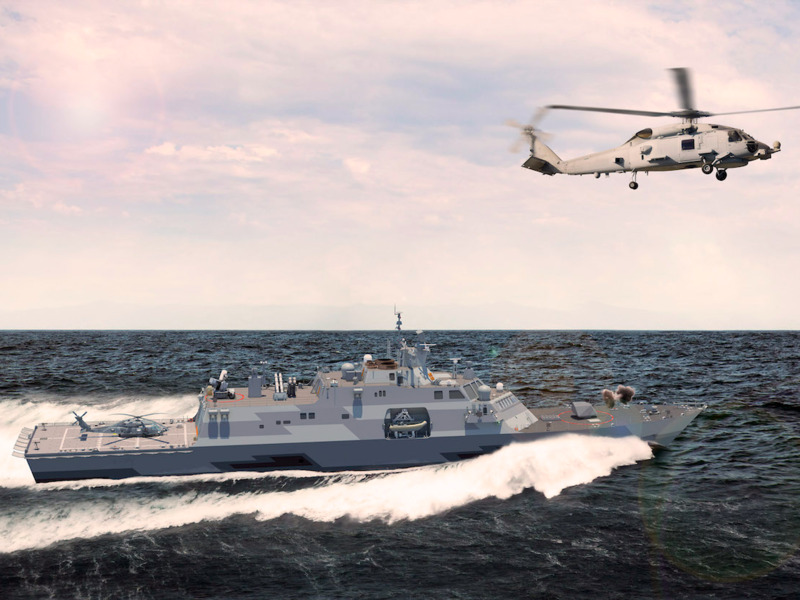 The Multi-Mission Surface Combatant frigate is a larger version of Lockheed Martin’s Freedom-class littoral combat ship. The four frigates are the centrepiece of the Saudi Naval Expansion Program II. 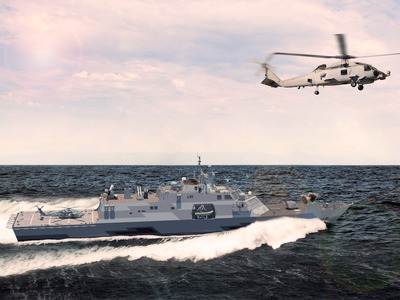 It is the first time the variant has been ordered, and Lockheed Martin is currently trying to win a contract from the US Navy to be its future FFG(X) frigate. 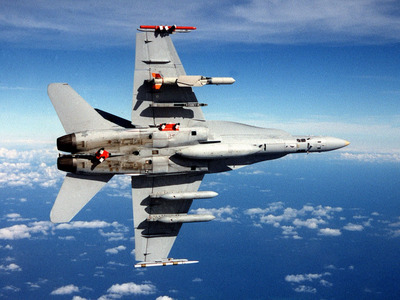 A Joint Standoff Weapon is a medium range precision guided weapon dropped from an aircraft that can travel long distances and deliver a massive amount of ordinance. The JSOW glides to its target, and can be dropped out of range of enemy anti-air defences. The Terminal High Altitude Area Defence system is the US military’s anti-ballistic missile defence system. THAAD is entirely kinetic, meaning it needs to make physical contact to successfully intercept its target. Iran-backed Houthi rebels in Yemen have launched at least two ballistic missiles into Saudi Arabia – one at the King Khaled Airport, and one south-western city of Khamis Mushait. Saudi Arabia currently fields the US-made MIM-104 Patriot, which has intercepted missiles coming from Yemen. 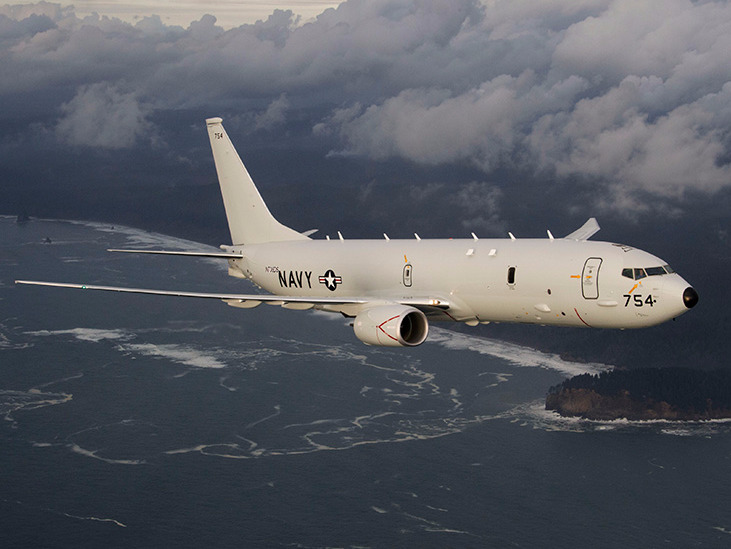 The P-8 Poseidon is a naval aircraft designed for Anti-submarine warfare, anti-surface warfare maritime patrol, early warning, and electronic warfare. Australia, India, and the US all have P-8s in service, and other countries like the UK, Norway, South Korea, Malaysia, and Canada thinking about buying the aircraft as well. Lockheed MartinLockheed Martin C-130 in flight. The C-130 Hercules transport plane is perhaps the most recognisable military transport plane in the world. Its first flight was in 1954, and it is the longest continuously produced military aircraft ever. 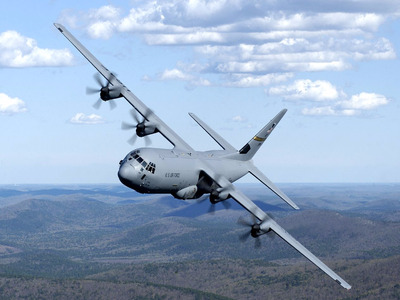 The Hercules has seen service all around the world in multiple militaries. It is currently in service with 70 countries. The Bradley Infantry Fighting Vehicle is the US’ response to the Soviet Union’s BMP. 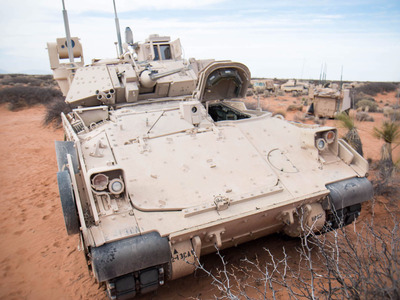 In service since 1981, it carries troops right into combat and is armed with a 25mm cannon and TOW anti-tank missiles. It is currently in service with three nations – the US, Lebanon, and Saudi Arabia. Kevin Dietsch-Pool/Getty ImagesPresident Donald Trump (R) holds up a chart of military hardware sales as he meets with Crown Prince Mohammed bin Salman of the Kingdom of Saudi Arabia in the Oval Office at the White House on March 20, 2018 in Washington, D.C.
And the chart for the sales pending.